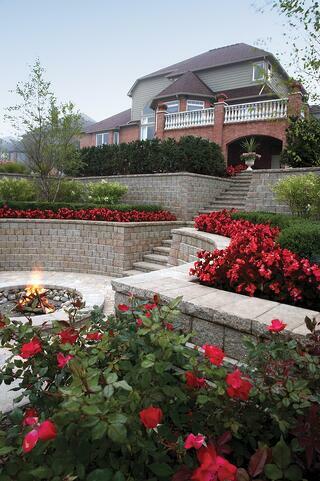 When adding a retaining wall to your landscape, you have the choice between varying materials, design, and methods, but how can you ensure your investment holds up over time? 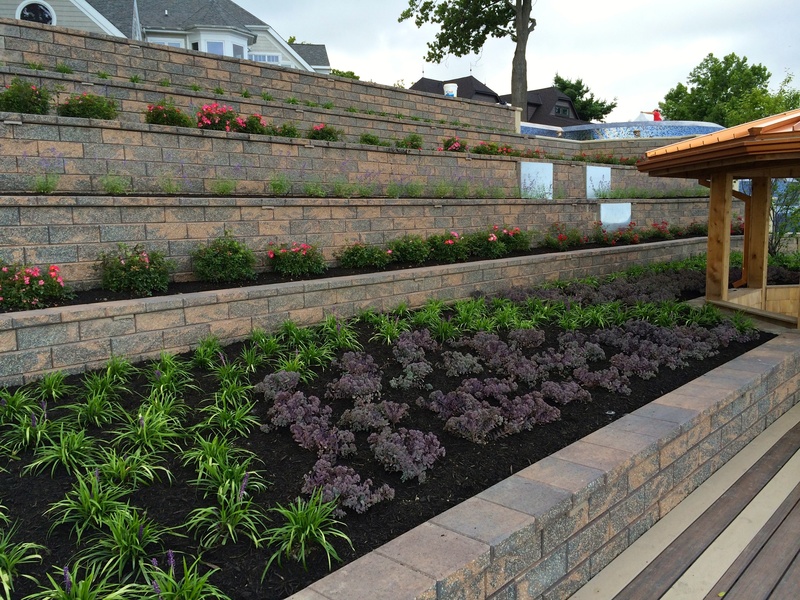 Each retaining wall is designed to provide form and function for your space, meeting particular architectural needs for shaping, sloping, and elevating the soil. However, they are also perfect for incorporating your personal style, adding dimension, texture, and aesthetic beauty to any area. Constructing an addition to your property requires time, money, and effort, so you want to avoid the hassle of a poorly built or structurally inappropriate feature in your space. 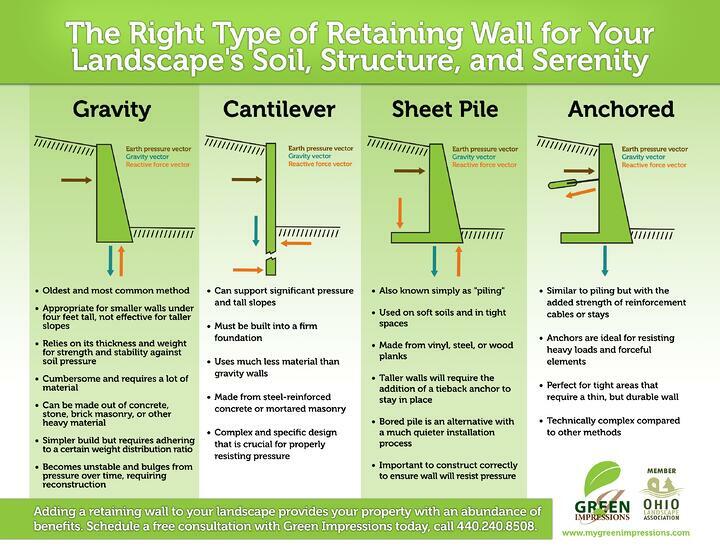 Use this simple guide to determine the most ideal retaining wall for your particular landscape. 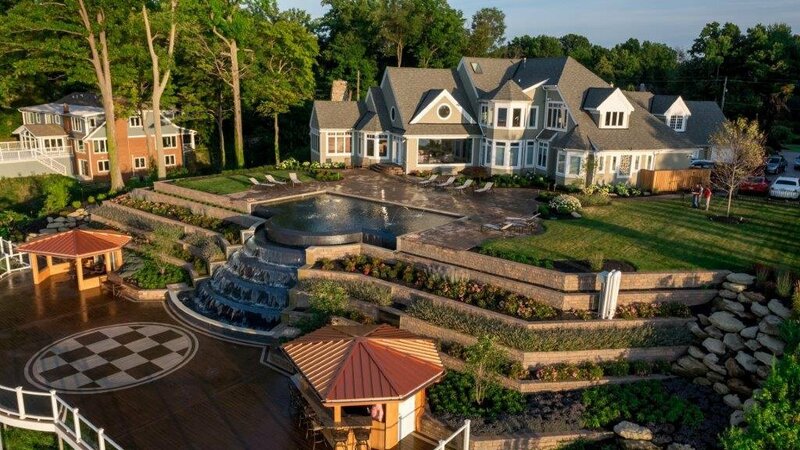 Also known simply as "piling"
Adding a retaining wall to your landscape provides your property with an abundance of benefits. Not only will you maintain your desired structure and foundation, but a retaining wall is a simple, functional way to add style and decor to your space. However you decide to design your landscape, guarantee the durability and longevity of your investment by contacting Green Impressions for a free consultation today.